Carmen Maria Machado's debut short story collection, Her Body and Other Parties, was a finalist for the National Book Award, the Shirley Jackson Award, the Kirkus Prize, LA Times Book Prize Art Seidenbaum Award for First Fiction, the Dylan Thomas Prize, and the PEN/Robert W. Bingham Prize for Debut Fiction, and the winner of the Bard Fiction Prize, the Lambda Literary Award for Lesbian Fiction, and the National Book Critics Circle's John Leonard Prize. In 2018, the New York Times listed Her Body and Other Parties as a member of "The New Vanguard," one of "15 remarkable books by women that are shaping the way we read and write fiction in the 21st century." Her essays, fiction, and criticism have appeared in the New Yorker, the New York Times, Granta, Tin House, McSweeney's Quarterly Concern, The Believer, Guernica, Best American Science Fiction & Fantasy, and elsewhere. 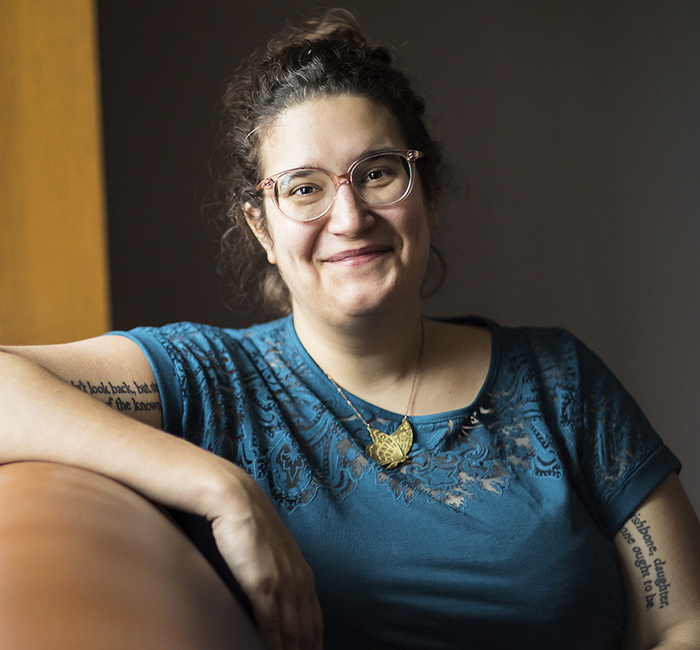 She holds an MFA from the Iowa Writers’ Workshop and has been awarded fellowships and residencies from the Michener-Copernicus Foundation, the Elizabeth George Foundation, the CINTAS Foundation, Yaddo, Hedgebrook, and the Millay Colony for the Arts. She is the Writer in Residence at the University of Pennsylvania and lives in Philadelphia with her wife.